The concept of a carbon footprint has to with the amount of renewable energy each person expels on any given day. When you recycle, your footprint is lower and thereby helps the environment. When you drive a car to a store you could walk to, then your carbon footprint goes up. How can you keep it low? By turning off lights, not wasting water, taking public transportation whenever possible and by recycling everything you throw out. A lot of recycling starts in the kitchen but it doesn’t have to stop with plastic water bottles and junk mail. You can also take care of big appliance recycling if you get the right help. That would be Junk King Columbus. Junk King has been a green company since its inception. The original owners started the company because they couldn’t find an environmentally conscious junk hauling service. Too many of these companies only want to pick up junk and dump it in a landfill. That’s not how it goes for Junk King. 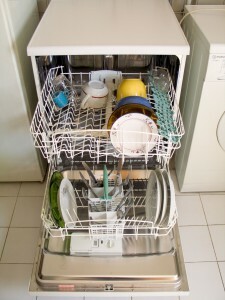 They try to avoid the landfill as much as possible and that includes with a big appliance. The big appliance category would cover items like a stove, washer, dryer, dishwasher or fridge. It can also include air conditioners and water heaters. Are any of those items on your list of “things to throw out?” If so, then Junk King Columbus know exactly where to take them. If you tried to handle big appliance recycling, you would need to get extra help to life and load the item, a rental truck and all the time it would take to drive to the recycling facility. With Junk King Columbus on the job, the crew loads up what you’re getting rid of and then takes off. Your part of the job is over. For the Junk King crew, they’ll have to travel to that facility that will take on the recycling phase. Keep in mind, donating to a charity also counts as recycling. You can also count on Junk King to take this same green approach with everything they collect from your home. Stay green with big appliance recycling and junk hauling with help from Junk King Columbus. This entry was posted in columbus junk removal and tagged big appliance recycling, Junk King on October 31, 2017 by Junk King. Last updated October 31, 2017 .